After pickup from your Nashville hotel in the evening, head to the Grand Ole Opry for a live 2-hour show and a chance to be a part of an age-old American tradition. 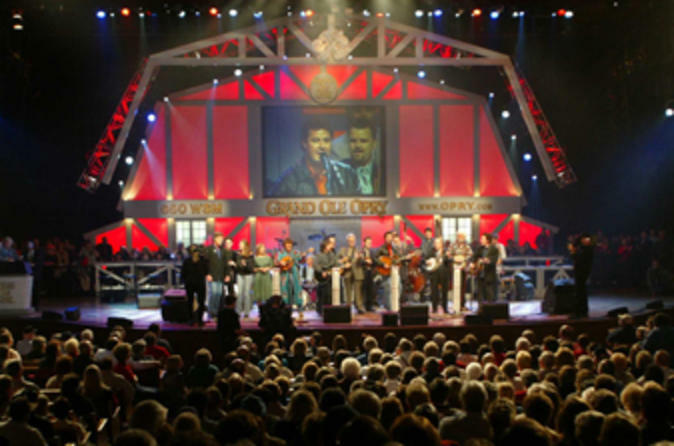 The Grand Ole Opry began as a simple radio broadcast in 1925 and has become a world-renowned live-entertainment phenomenon, where hundreds of stars have begun their careers. It’s now the longest running live radio show in the US, showcasing the past, present and future of country music. Enjoy an entertaining performance of six to eight artists or bands from a diverse pool of musicians. Stars that have graced this stage include Jimmy Dickens, Vince Gill, Jean Shepard and hotshots Dierks Bentley and Brad Paisley, as well as legends Willie Nelson and Charlie Daniels. Simply sit back, relax and enjoy the show! Afterward, you’ll be taken back to your hotel.